Nearly every kitchen has three big problems – how to get more storage space, how to get more counter space and how to make the kitchen look fantastic. Luckily all three of these can be solved with one simple piece of kitchen furniture – the kitchen island. Just because your kitchen doesn’t already have a stationary island that matches the cabinets doesn’t mean that you can’t make use of this convenient kitchen device. There are plenty of islands that you can buy which are both portable as well a stationary and can blend into kitchen and make it look great. You can buy them in all types of cabinet finishes including white, black and stainless steel and with a variety of countertops even ones to match your existing kitchen. An island can help your kitchen look great by adding some pizzazz to a big open area as well as creating a gathering spot for you to sit at or prepare food. It seems like there’s never enough storage space or counter space no matter how big your kitchen is and an island can solve both of these. You get the extra counter space on top of the island and some even have pullout sections that can add even more prep space. In addition, you can have cabinets shelves and drawers which can add to your storage space. 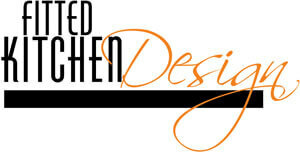 Kitchen islands come in a large variety of sizes and you want to choose one that works for your kitchen. What you need to do is figure out where you would want the island to go and measure that area. Then decide how much room you need to walk around the island and buy an island that is sized to fit inside that area and leave the required walking space. If you want an island to be in the middle of the kitchen only at certain times but you feel that it will really take up too much room at other times, you can get one that has wheels and simply wheel it away when you want the extra space. Islands for the kitchen come in sizes that are under 25 inches to over 56 inches so there’s sure to be a size for almost every kitchen. 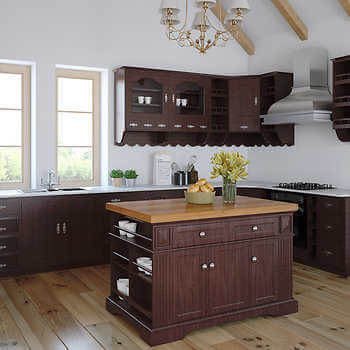 Drawer space – if you need extra drawer space then you want to pick an island that has plenty of drawers. You can get them with big drawers, or little drawers, lots of drawers or just a few drawers. Figure out what you need and get the island that suits your needs. Shelf Storage – islands can come with open shelves or closed storage shelves with cabinet doors. Do you want some open shelves to display some of your better looking kitchen items, or are your pots and pans such a mess that you need to hide them away? Think about this one you are looking at islands and buy accordingly. Counter Top Material – the counter tops on your kitchen island can be made from a variety of materials and you may even be able to get something that matches your current counters. Other popular tops include butcher block, granite and stainless steel which really go with everything. 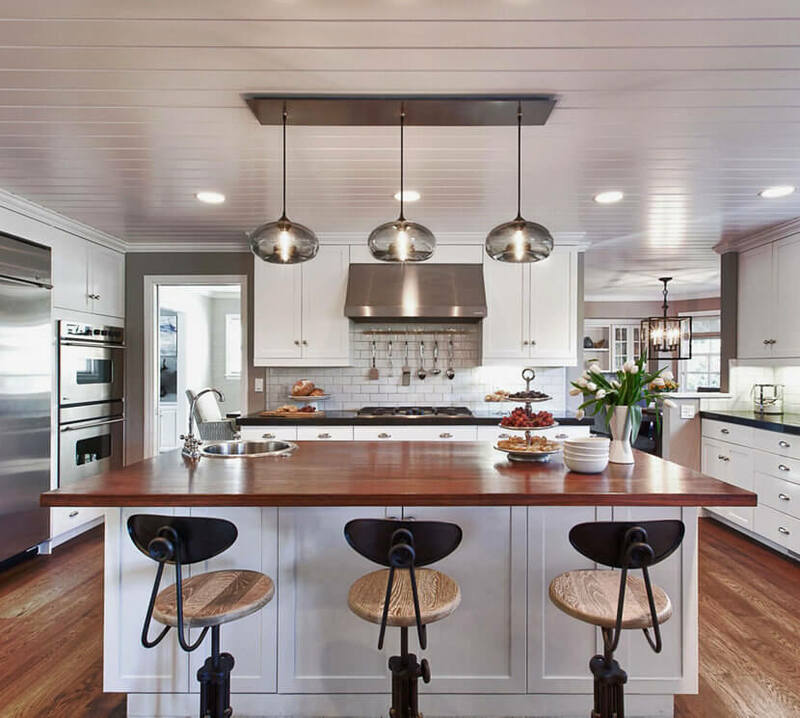 Bells and Whistles – when buying your island you might want to think about the extra bells and whistles you want such as hooks to hang pots and pans, a hanging knife rack on the side, towel racks and slide out counter top extensions that pull out much like the leaves on a table and give you additional working space when you need it. A kitchen island is a great thing to add to your kitchen, and if you choose the right one, it can help enhance your decor while providing you with extra work area and more storage.